Press your leaves for a couple of days by slipping them between sheets of newspaper under a heavy book. 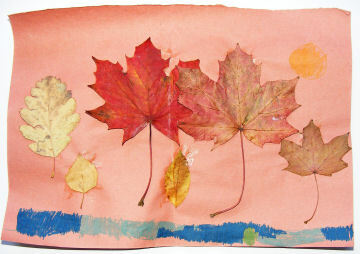 Arrange your leaves on paper and glue in place, and add any further decoration you like with pens, crayons or pencils. 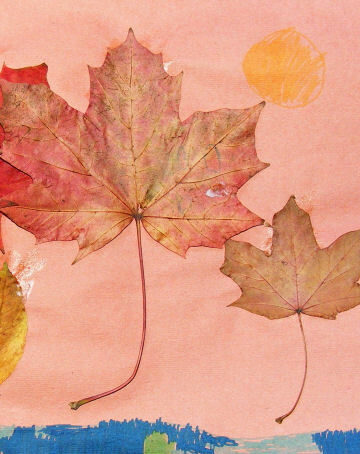 You could also use glitter or even stickers to make your autumn collage special and original.